Barbara Moore (1934-2002), the second wife of prolific author John Lee (1931-2013), worked as a reporter for most of her career and published several novels. The couple married in 1957 and then lived for a year in Spain, before spending time in various places in the U.S. prior to visiting Mexico in 1962. 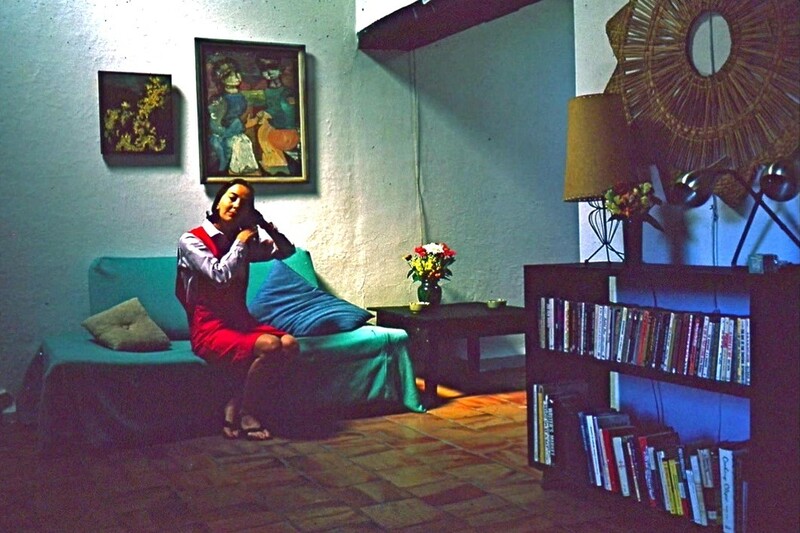 They lived for a year in Ajijic in 1962-63, fell in love with Mexico, and subsequently returned for three months almost every summer for the next decade. Moore had a masters degree in creative writing and anthropology, and taught journalism at the American University in Washington D.C., and later at California State University in Northridge. Barbara and John Lee co-wrote two non-fiction works: Monsters Among Us: Journey to the Unexplained (1975) and Learning to Judge the Doberman Pinscher (1982). 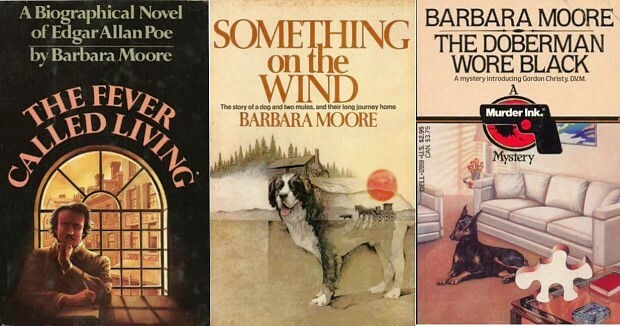 Moore’s novels include Hard On The Road (1974), an unconventional coming-of-age novel in which two young men and a camera meet the grand old West; The Fever Called Living (1976), a biographical novel about the last five years of the life of Edgar Allen Poe, based on research conducted by her husband towards a PhD; Something on the Wind (1978); The Doberman Wore Black (1984); and The Wolf Whispered Death (1986). According to John Lee, The Fever Called Living won his wife a Mark Twain award, though I have been unable to find any independent verification of this. Barbara Moore predeceased her husband in Texas in 2002.